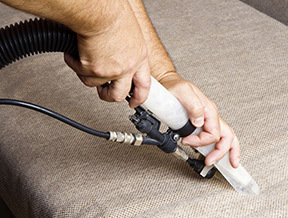 Regent Flooring, Kitchen and Bath can clean your carpet and Upholstery. We use a truck mounted hot water extraction system. This is the system recommended by carpet manufacturers. Having the power of the truck behind this system provides the deepest clean possible, a more thorough clean than any portable system, with the shortest drying time. All the tanks remain in the truck, all that enters your home is the hose and the wand. The same powerful truck mounted system that is used for carpet and upholstery, is also used for Tile and Grout Cleaning. Over time tile and grout can become discolored. Using this powerful cleaning method can help restore the look of your tile in any room, including showers and tub surrounds. Water can be a powerful and very destructive force. It can cause extreme damage, especially if it is not removed by a professional. Our powerful truck mounted machine will extract the water from your carpet. It is important to have a professional like Regent Flooring, Kitchen and Bath provide these services. 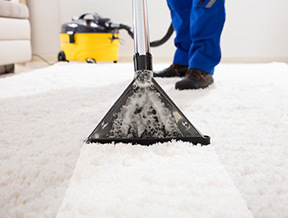 While water can be extracted from the carpet, it can remain in the padding, sheetrock and behind the walls. Regent can identify any problem areas and take the steps to properly treat, repair or replace these areas. While some carpet manufacturers offer custom rugs, Regent Flooring, Kitchen and Bath can make a custom rug or runner out of any carpet in our showroom. Binding comes in many different color choices and even styles that look like a factory surged edge. This process can happen in our shop or in your home as needed. Regent Flooring, Kitchen and Bath offers repairs, patching and restretching to your existing carpets. There may be restrictions based on the age and condition of your carpet. The experts at Regent can help you figure out the best solution. Over time, natural wear and tear can cause grout and caulk to crack or break. Our experienced installers can inspect and repair the grout and caulk on your tiled walls and floors. Regent can restore the beauty in your existing hardwood floors. 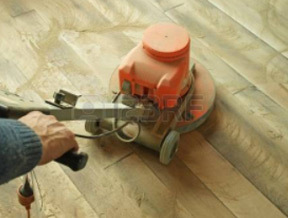 We will refinish your hardwood floors using the latest technology in dustless sanding and the highest quality stains and finishes. There are many options to consider from the type of materials used to the color of the stain to the final sheen level of the finish. We can help you select the right option for your home.